With his fellow Hunter and friend Adrian now missing, Victor Vran comes to Zagoravia for answers. What he finds is worse than anything he could have imagined; the forces of evil have taken complete control, and there are dead Hunters strewn throughout. Now Victor faces a choice: does he fight back against the darkness, or does he just do what he came to do and leave? This is the setup for Victor Vran, a new Action RPG by Haemimont Games. While the $19.99 price point for the game may be enticing, there is no denying the fact that there are a lot of games in this genre, and more than a few with similar premises. The question is does Vitor Vran do enough to stand out in a crowded genre, or should you just go back to playing Diablo 3 or any other myriad of similar games. When you read what I typed for the intro to this review, you probably immediately assume Victor Vran is just another cheap knock-off of games like Van Helsing. Fortunately, it does not take long for players to find out that is not the case. One of the first things that helps set Victor Vran apart is you can jump. Yes, you read that right; you can jump in Victor Vran. You can also dodge-roll to avoid attacks and double jump off walls. This seems a bit of an odd thing to find in an isometric setting, but you quickly learn that these additions really help make the combat in the game stand out. The ability to jump, wall jump and dodge makes combat much more action packed and frantic than it is in most ARPGs. Multitudes of enemies will come after you at the same time, and you are really going to need to be able to move quickly. By the way, let me suggest playing this game with a controller; the combat is really not designed for mouse and keyboard. The combat in Victor Vran is both intense and extremely satisfying. The moves are not the only thing that help shape the combat. There are a lot of different weapon types in the game, and each has three types of attack: a standard attack and two specials. These attacks vary wildly based on the type of weapon you are currently wielding. While many RPGs will have some weapon variations, many of those variations come down to 2 things: speed of attack and damage. Victor Vran’s weapons, on the other hand, offer true variation in how they handle. Swords handle like you would expect. Rapiers, on the other hand, have to be used with precision. Shotguns and Lightning Guns handle completely differently, which is even more true once you take their secondary attacks into account. To illustrate this point, let me compare the three gun types in the game: Shotgun, Lightning Gun and Mortar. The Shotgun has the standard shot, an aimed shot that will hit one target for much more damage and a spread shot that hits multiple enemies and gives you a temporary speed boost. The Lightning Gun fires streams of lightning as its main attack, Ball Lighting that moves slowly and can be attracted to electrified enemies and electric traps that explode in a circle, damaging and electrifying anything it hits, including Victor. The Mortar fires mortar shells that hit for powerful damage, along with firing blasts that set sections of the ground on fire and a rocket jump that will damage enemies around you and help get you out of trouble. You also have secondary features on more rare weapons, ranging from swords that are better against certain enemies to guns that have a faster cool down for secondary attacks. The variations in the weaponry in this game really allow you to choose a play style that fits you best. Another rather unique element to Victor Vran is there are no character classes. At first, this would seem to put the game at a disadvantage when compared to other Action RPGs, but that does not end up being the case. You start the game choosing one of three separate outfits for Vran, and each of these will change how you accrue your demon power (more on that later). These outfits essentially become your class, with you being able choose from a more tank like character, a precision fighter or a spell caster. Throughout the game, you will find more outfits, which will allow you to not only tailor your character to your play style but also allow you to try different play styles without restarting the game as a new class. Just choose your first outfit carefully, as it will be a little ways into the game before you find any more. The outfits are not the only way you can customize your character. You have the ability to equip demon powers, which can be used when your meter is full. 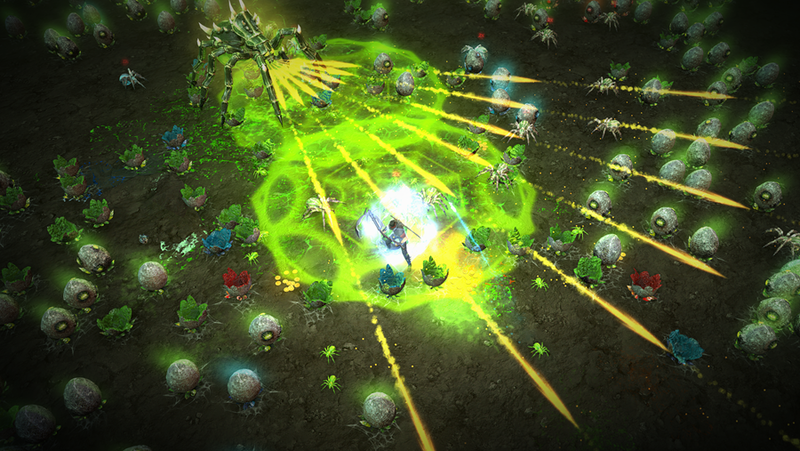 These powers can range from calling down a cleansing beam from the heavens and directing it to attack enemies to creating a diamond-like shield around Vran. As you progress throughout the game, you find more a more rare demon powers. You also gain the ability to equip two at once, something I found to be very useful in latter stages of the game. Outfits range from the standard fair to more exotic ones like this. Each outfit grants different benefits to your character. On top of these two areas of customization, you have the Destiny Cards. Destiny Cards are equippable cards that give different bonuses to Vran. These bonuses can range from getting health for each overkill, a mechanic that rewards you for doing a lot more damage to an enemy than necessary to kill it, to adding a chance to electrify enemies. Each card has a point value, and you cannot exceed either the number of cards or the point value you are currently allowed to equip. The outfits, demon powers and Destiny Cards really help you customize your character in Victor Vran. Add to that the various weapons and their abilities, the ability after leveling up enough to carry two weapons at once and change between them on the fly and the ability to enhance your weapons, outfits, demon powers and Destiny Cards through transmogrification, and you have seemingly no limit to how unique your version of the grizzled hunter can be. Victor Vran is not going to wow you with its story. After all, it is rather basic, if well executed. One of the great things about the game, however, it is it evident that Haemimont Games decided to have some fun with it. Vran is voiced by Doug Cockle. Those of you playing Witcher 3 right now would almost immediately recognize him as the English voice of Geralt of Rivia, and he adds much of the same gruffness to this grizzled demon hunter. 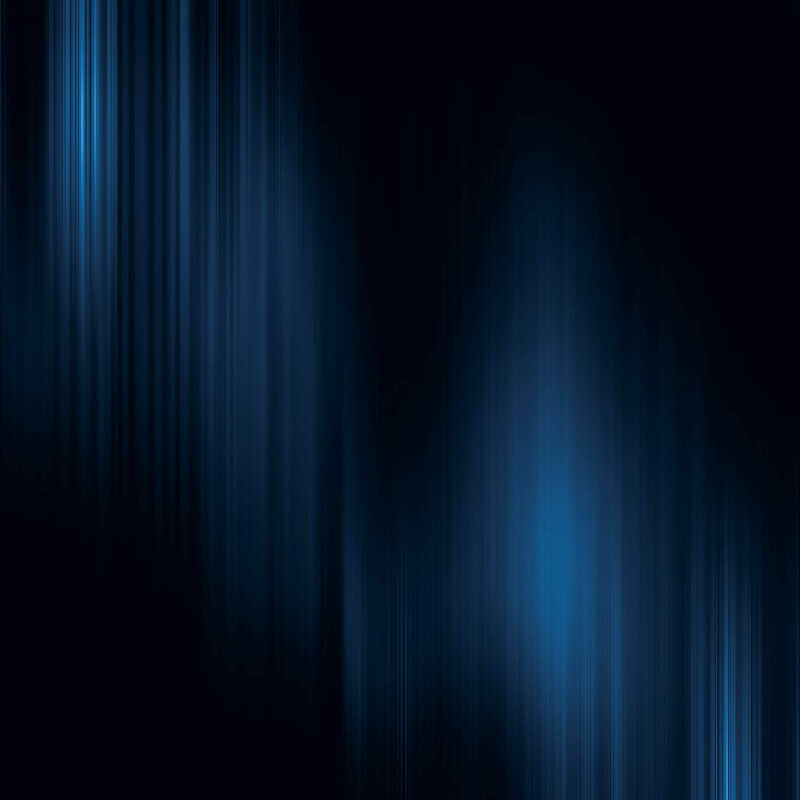 Not long into the game, however, you are introduced to someone who speaks via telepathy with Vran who only identifies himself as Voice, voiced by Andrew Wincott. So why am I taking the time to tell you about the voice actors for these characters? Because this will help support my point that the developers decided to have fun with the story. Imagine the gruff voice of Cockle being offset by a whimsical, almost hypnotic voice in his head that taunts him at every step. From calling Victor “Vicky” to singing the praises of Vran’s ever stylish hat, Voice adds both random humor and contextualized criticism for the stoic hunter’s actions. I often found myself walking by the same area multiple times just to hear Voice’s commentary again, as Wincott does such a fantastic job. The humor is not only shown in the voice work. You will run across dancing undead that will make you dance Gangam Style if you get too close. Add to that humorous legendary weapons like the Ghostbuster Lightning Gun and a rapier that can turn you enemies into exploding chickens, and you end up with a game that does manage to set itself apart from other dreary ARPGs through its use of humor. So far, I have been doing nothing but singing the praises of Victor Vran, and for good reason: there is much to like about this game. Be warned, however; there some problems with this game that could seriously frustrate even the most ardent RPG fan. The first problem is the game sometimes does not give you a clear idea how to reach your next waypoint. Sure, it will be marked on the map, but that does not mean it will be easy to find. I must have wandered through one particular area for more than an hour trying to figure out where I was supposed to go next, and while this may have helped me grind my way to higher levels, it was frustrating not being able to progress the story. The second problem is the challenges. Each area you enter in the game has a set of five challenges for you to complete. Each one completed will reward you with an item, gold or major bonus experience. At first, these challenges are relatively easy: kill all the spider eggs in an area or kill a certain number of enemies with a particular type of weapon. After a while, however, these challenges start to get on the ridiculous side, with things like killing a boss in 120 seconds or killing 50 enemies without getting hit. This gets even worse once Hexes, different debuffs you can equip on your character, are introduced. There were multiple times I would enter a new area and see a challenge where you had to kill 60 or more enemies with multiple hexes equipped, and my standard response was “Nope, not even going to try it.” Sure, if I get seriously leveled up, I might be able to accomplish these challenges, but that just really does not appeal to me. Word of advice: don’t go into this fight alone. The challenges are not the only thing that ramps up to ridiculous levels. When you get roughly 75% finished with the story of Victor Vran, the game goes through a serious spike in difficulty. It starts when you enter the areas controlled by the vampires. These enemies and their allies have a tendency to overwhelm Vran, leading to multiple deaths. 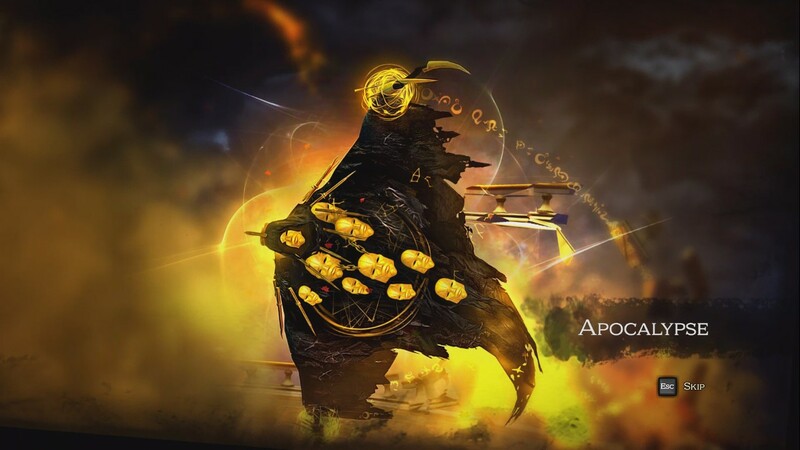 If that was not enough, you soon face a boss battle against a demon known as Apocalypse, who calls in “aspects” as other demons to fight you while you are dealing with him. When you get him down to about his final segment of health, he calls around 5 of these powerful demons into battle at once, which leaves you in a bad state. If you listen to the podcast, you heard me talk about how I almost wanted to give up playing Victor Vran at one point. It was after I had tried multiple times to beat Apocalypse to no avail. I was finally able to get lucky enough to get a legendary Lightning Gun and change up my tactics to beat him, but then just barely. This battle almost caused me to stop playing the game. There is one thing that will help deal with the difficulty spikes: coop play. 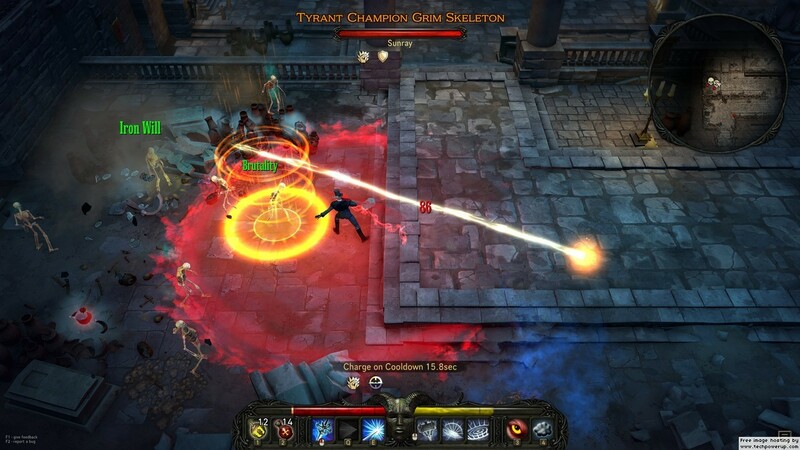 Victor Vran allows you to team up with up to three of your friends to take on the demons of Zagoravia. I would highly recommend playing the battle against Apocalypse through the end of the game with a friend; that made all the difference in the world, as the game became fun again when I had someone else to lend a hand. While it has its faults, Victor Vran is a breath of fresh air in what has become an increasingly crowded ARPG climate. The frantic combat, customization and humor make this a game worth picking up for any fan of the genre, especially as there is a lot more content to it than the $19.99 price point would lead you to believe. I have not even touched upon the bottomless pit battle that opens up after you beat the game, the player versus player area (which I never actually tried as it did not interest me) or the free DLC that Haemimont Games is planning to release in the near future. There is a lot to like about this game. So if you are looking for a unique take on the whole Action RPG genre, look no further than Victor Vran. Oh, and if you do get it, hit me up on Steam if you are looking for some help in coop. I would be more than happy to jump back into the kingdom of Zagoravia with you. Full Disclosure: Everyday Gamers was given a review key for Victor Vran. 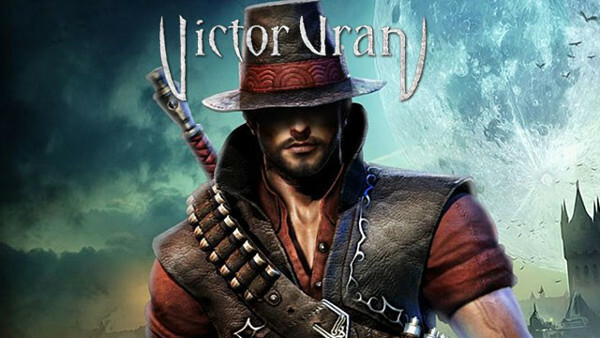 Check out the story trailer for Victor Vran. This entry was posted in PC, Post, Reviews and tagged action rpg, arpg, Haemimont Games, PC, review, steam, Victor Vran. Bookmark the permalink.